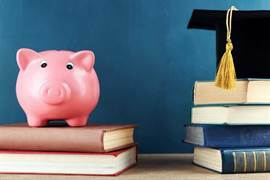 Whatever your financial situation, with a little planning you can avoid becoming the broke student stereotype and the stresses that go with being low in cash. Our guide tells you how to make your money go further, and EFTPOS declines and 2 Minute Noodle dinners will become a thing of the past. 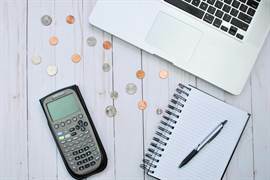 MoneyHub has put together a checklist of 50 money empowering tips to help you stretch the student dollar for the time you’ll spend at university or any tertiary study. Many of them are easy, quick wins that will make a difference to everyday student life. Scholarships are commonly misunderstood. They’re not just for the smartest students in the class, but for a range of talents, academic results, ethnic backgrounds, home city and community involvement. Our Scholarship guide outlines everything that’s available to Year 13 students. If you’re in your final year of secondary school, take time working through this page as it covers every university in New Zealand. We update the scholarship guide regularly, and it is surprising what’s available. Even if you’re not the best student, don’t be intimidated to apply - it's a fact that many niche scholarships go un-awarded every year due to lack of applicants. Our guide covers everything you need to know to give your best chance of scholarships success. If you’re already studying at university, look at the website of your department or faculty on your uni's website. There is a high probability that academic scholarships will be on offer. If you don't see any, email the administration of the office to check, and email the careers office too as they will be aware of anything available. Just mention your major and current classes and they can advise accordingly. Scholarships very much follow the principle of 'if you don't ask, you don't get'. So ask. Banks love enticing students to sign up with their student accounts offering 0% overdrafts, hoping to keep them as customers for years to come. Be wary; many student bank accounts have hidden fees in the fine print. Our student bank account guide outlines the best student bank accounts on offer. To make life easier, applying for the largest interest-free overdraft is a popular choice. It’s (effectively) free money and always good to have available should you need it. First-year students get up to $1,000, and after that, it’s around $2,000. One golden rule – NEVER exceed your approved overdraft limit. You’ll be charged high fees, interest and penalties, and they may trap you in a debt cycle. Be smart and tell your bank that under no circumstances do you want an “un-arranged” overdraft. Get this in writing – it’s better to be declined at the pub than get a nasty surprise. It’s very easy to go shopping or have an entertainment blowout when you get your student allowance, regular loan payment or assistance from family. Our advice is simple: don’t do it. You need to make your money last, and student finances can be stretched when unplanned expenses happen. Resist the temptation to spend big on items that you don't need and instead stick to your budget and be happy. Many local eateries and shops around universities offer student discounts. Look for advertising outside the shop or in the window; if you don’t see it, ask if they do it. Even a 10% discount on $10 soon adds up. As restaurants and cafes become more conscious about food waste, ask around to see if there are 'end of day' deals like 50% off. Cafes around New Zealand have begun to offer specials, and if you know the times, it can be a cheap way to snack between studies. The markup on coffee beans to a cup is about 1000% - save hundreds of dollars a year by brewing your own and using a reusable travel coffee mug. It’s better for your bank balance and environmentally friendly. "I can't believe how much I spent on coffee in my first year. With every purchase around $4 (or $7 if I included a cake), I worked out I spent over $1,000 which was insane. I started to make my own and have never looked back. Coffees out are only a social thing now". Every semester, your course will advise what textbooks you need. Some of them are free, but most are serious budget-busters - an eye-watering $70 to $100+ per book can be the norm. There is no reason to be sentimental about books; buy them secondhand to save money outright. University bookshops stock second-hand books, as do private sellers listed on noticeboards around campuses. You may also want to ask the seller if they have their notes as well. TradeMe and local campus Facebook groups are good hunting grounds for books. It’s a very sensitive subject, and young New Zealanders often shy away from having an upfront conversation with their parents about tertiary study support. Many parents won’t be able to afford to offer any support, which is perfectly reasonable. If that’s the case, you may qualify for a student allowance. No matter what your situation, a contribution from your parents will in most cases make a significant difference to your student life. With fees covered by the government and/or student loans and the student allowance/loan being fixed below the cost of living, an extra $25-50 a week during your term time can make a world of difference. Of course, it all depends on the financial situation of each parent. Microsoft offers a full version of Office 365 (which includes popular applications like Word, Excel and Powerpoint) to any full-time or part-time student at an academic institution with a school-specific email address provided by the school (for example, @auckland.ac.nz) that can receive external email. Almost all NZQA-accredited universities and colleges offer this deal throughout the country (see the University of Auckland's offer), making it a no-brainer and providing big savings on essential software costs. ​If you’re not interested in the free Microsoft Office offer, OpenOffice is free to download and offers a word processor, spreadsheet, presentation and database software package. Read more about it and download it here. Dropbox is a very easy way to share files and backup everything on your computer. Rather than pay for cloud storage, you can sign up for Dropbox and get 2 GB free. Promotions have previously been offered by Microsoft for 100 GB of FREE storage space using their onedrive platform. Search on Google to see if any promotions are available when you need such a cloud-based service. Not only will you meet new friends and break up the study routine, many clubs also offer subsidised activities given their group discount buying power. There are clubs for everyone and almost everything - signing up at the start of the year may be cheaper too. There is usually something for everyone; political parties, cycling clubs, sports clubs, religious clubs and dozens of others. Everyone has both “wants” and “needs” in life - most are easy to tell apart. But in some instances, our wants become so compelling that we think they are needs. Before making any purchase, ask if you want or need the item. It's most likely lots of things you are considering are actually wants. Whatever you decide, there are pros and cons of each, described in detail below. It's important to be organised to save time and money - having the deposit ready in advance means you won't need to scramble at the last minute. Risk of unprofessional behaviour, instances of 'if you don't like it, move out' occur. The media continues to report stories about dodgy landlords who appear to be a law to themselves when it comes to enforcing the rights of tenants. The government's useful outline of the rights and responsibilities of landlords and tenants makes everything clear. If there is an ongoing issue in your student flat that the landlord has not fixed, and you want something to change, make an appointment with the Citizens Advice Bureau (CAB). The CAB is a free service located in all major cities who can best advise what to do to resolve the problem. ​If you’re living in a flat, you’ll have to pay for your power which can cause some dramas when the bill comes. Your electricity isn’t connected to your landlord, so you’re free to choose whoever is cheapest. Flick Electric is one company offering wholesale pricing for electricity - this can save a lot of money in the summer months and, providing there are no electricity shortages, offer value for money during winter. Power costs vary according to which energy retailer you use – use Consumer Powerswitch to compare what’s best for your flat. The Energy Efficiency and Conservation Authority (EECA) has lots of useful tips on how to keep your heating costs down. This isn't about being a Scrooge; it's about being sensible with your money and saving friendships from tension. When it comes to loaning your friends money, many people would recommend you just don’t do it. No matter how small the loan is, it will probably annoy you to see it unpaid and/or unmentioned for some time. Lending money can also damage a friendship if the repayment drags out or they ask for more. It is usually better to say no, explaining your own financial needs, rather than say yes and run the risk of repeatedly being asked for more. ​"I made the mistake of lending to a friend at university. It turned into a real pain – my friend wouldn’t acknowledge the loan for a while which annoyed me, then she suggested I come to the supermarket with her once there offered to pay for my groceries as a way to repay the loan. Not suitable for my timetable or own money needs. In the end, I got a bit boozed and told her I needed it now, and surprisingly I got it in full a couple of days. The situation wasn’t desirable for either party really, and it was the last time I lent anyone money". Many banks offer free accounts that aren’t necessarily student accounts; an example is the Kiwibank Free-Up account. Because your flat will incur joint costs like power, internet, Netflix etc and household expenses if you cook together, it makes things easier if you agree to transfer $30-$50 a week to cover the basics. At the end of the year, once all bills are paid, what’s left over can be shared among everyone. This is proven to be the fairest, easiest and cheapest way to run a flat’s finances. This is probably the most important tip of all. Money is limited as a student, and you run a serious risk of running out of cash without a budget. StudyLink has useful examples of the costs in major cities around New Zealand. It's important to know your expected costs before you need to pay them - you can put money aside and avoid nasty surprises. A furnished flat may cost a bit more per week, but if you’re in your final year or don’t want the hassle of moving your stuff every year, a furnished flat may end up being cheaper. Many private landlords offer furnished flats and don’t charge much of a premium for it. Conversely, if you have existing (low-value) furniture and find a furnished flat that ticks all the boxes, it may be worth to sell off your furniture and keep the money for something else. Having a warm house probably isn't a deal-breaker in Auckland, but it will be in Dunedin or Christchurch. With no home insulation rating standards and typically people looking at student flats in spring and summer, picking a warm house is not easy. But there is a way to make an informed choice. When you go flat hunting, ask the current tenants how much they spend a month on power (you might also notice the bill on their fridge, with is worth a quick glance). Ask them if it’s a warm flat and if it easy it is to heat. And to save some more money and hassle, you may want to ask them what they’re doing with their furniture. Some flats graduate together and might not need the furniture so they would be looking to offload it all for a low price. The further south you go in New Zealand, the more contentious heating will be. You will likely flat with people with different financial backgrounds and attitudes to heating. Electric blankets are cheaper to run than fan heaters because they use less megawatts per hour. Fan heaters never warm up a cold bed either, so if you’re going to heat something, consider an electric blanket. Get into the habit of charging your laptop and phone at university while you’re studying at the library or study areas – it also means you’ll be fully charged when you head home. If your local area charges for water and you’re renting a flat, check if your landlord covers it. If not, an average person can expect to pay $100 per year for water, so remember to budget for that. Popular sites like Cheapies.nz post coupons galore and they’re updated daily, covering everything from fast food to electronics and retailer promotions. The community of coupon enthusiasts is very active, and only coupons that are valid will be upvoted, meaning the success rate of using any promotions is fairly high. MoneyHub also has a list of dining coupons and deals which are frequently updated. Some students swear by the Student Card, with its signature 30% off Domino's Pizza and coffee discounts. In one year it's not a stretch to use the card enough to pay back the $20 annual fee. 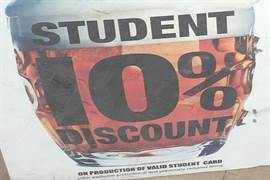 Alternatively, some universities offer their own student card which may have more suitable local discounts. First of all, find out if your landlord has Landlord insurance – this will cover you if you accidentally damage the property (i.e. spill coffee on the carpet, set the kitchen on fire when cooking etc). If they do not, it may be worth getting a policy if you want to be 100% financially protected from any damage you cause. Insurers love to market 'student insurance', but don’t assume it’s cheaper than regular contents insurance which will cover you if your flat gets burgled and for any loss in your property. If you own items like an iPhone, tablet, laptop, Xbox, headphones, a bike, a musical instrument, clothes, jewellery and gym gear, you could easily have $5,000+ in assets. Make sure the policy you get covers everything you need to be insured for and that there are no nasty terms and conditions that catch you out. Remember, you can minimise the chances of theft by locking your doors. To make a claim contents insurance, there must be “theft following violent and forceful entry” or “fire, lightning or an explosion”. So if you have a flat party and some dodgy guest goes into your room and steals your laptop and iPad, you’re not covered. It may seem safe, the library may be quiet, but ultimately the risk is not worth it. Not for a coffee break, not for a bathroom break and not even to talk to a friend 20 metres away. Be paranoid; laptop theft is rife and phones get poached regularly as well. Save money in the long run by always packing up your bag if you leave a location, or ask someone sitting beside you (who doesn’t look dodgy) to watch it. If you have contents insurance and you leave your property unattended, it won’t be covered if something happens. "​I was at the university library and went to the bathroom for less than two minutes. I would never usually leave my laptop unattended, but I felt safe as the place was buzzing and I recognised friends a few rows over. I got back and it was gone. Total panic followed by misery as I hadn’t synced my cloud and some key work was gone for good. The library told me thieves work the place in pairs and laptop theft is quite common. It was an expensive lesson". Do you need a car at uni? A car is expensive, and all our university cities have functional public transport. The costs are more than just petrol and warrant of fitness fees – and if it breaks down, you’ll need to have the money to fix it. While it may be useful for getting to and from part-time jobs, it may be more of a liability overall. ​"I was one of the few people at my hall of residence with a car. To be fair, I didn’t really need it. It was useful for supermarket runs, but I could have managed just fine with walking like everyone else did. It didn’t serve much of a purpose, but did make me popular! I wouldn’t recommend having a car at university in the first year or two, but everyone is different". If you are determined to have a car, read our buying a second hand car guide. If you do own a car, it’s probably best to get car insurance – at least third party to cover any accidents you may cause. Insurance premiums for young people are high – see our guide to car insurance here which indicates the best insurance from a number of cars. Remember, don’t add a parent or older driver as the name of the main driver instead of you – this is fraudulent, and you may find any claim denied because of it. Phone bills are not fun. 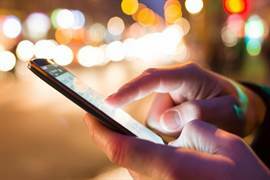 If you find yourself constantly running out of data or minutes, you’re probably on the wrong plan. Look at our cheap SIM-only deals page to see what’s available for users like you, as picking the right contract/plan is essential to make sure you never overpay or get stung by penalties. Try to avoid being sucked into an expensive mobile device plan, as that can easily cost you an additional $40-$50 per month. 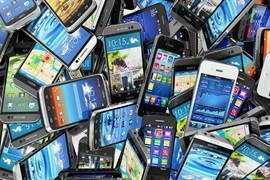 List an old phone or tablet on Trade Me. There’s usually a bit of value in anything in working condition, and they will otherwise become near worthless after a few years anyway. As soon as you upgrade it’s worth flogging your original. See our Trade Me selling tips guide for more details on getting started. Remember to factory reset your device before sending them to the buyer – this is the only safe way to delete all of your personal information. You may have a wardrobe that doesn’t get a lot of your attention. Consider having a clear out. Trade Me is your friend in this case, but selling them doesn’t mean you need to buy new ones. Bank the cash in the meantime. Our Trade Me selling tips guide explains how to maximise the selling prices. When it comes to buying used clothes, thoughts of musty second-hand shops could not be further from the truth. Trade Me is (again) a wonderland of cheap clothing and unique pieces. Halls of residence offer a lot of study and social benefits, but they cost $10,000-$15,000 per year which is a big investment. Flatting does not work out to be too much less if you factor in 12-month rental contracts and the costs of running a flat. Every university city has an art gallery, museum and other attractions, but sadly very few students ever make a visit during their uni years. They make excellent entertainment and social outing destination, and you can even use them for a low-cost date. A lot of government money and private donations fund these attractions, and many like Te Papa (Wellington), Early Settlers (Dunedin) and the Auckland Art Gallery are world-class. Set the temperature on the fridge and freezer to avoid food going off, and place food in dry areas inside (i.e. if your fridge condensates at the back, don't place fresh vegetables there). Understand that 'best before' does not mean 'don't eat it after this date' - many food items last a lot longer without being dangerous to eat or taste bad. Audit your freezer and pantry monthly - rearrange the items that are closest to expiry and use them up first. Learn to make a few basic recipes that can easily be altered depending on what you have at home. E.g. soup, pasta, pizza. Use an app to make a meal with the ingredients you have where you enter the ingredients you want to use and get suggestions of recipes you can make with that. You may have a sizeable student loan, but this doesn’t work the way other debt does. Student loans are interest-free and only repaid once you graduate and have an income. Other debt is very different. You may see your student loan and think about borrowing more as in the scheme of things it won’t make a difference, but non-student loan debt is very risky. 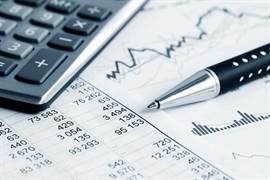 ​The interest rates are likely to be high (15%+) and you will be hounded to repay them even if you can’t. Interest-free overdrafts offer the only non-student loan debt we recommend. We don’t believe you can avoid some form of debt in everyday life - doing so would be nearly impossible. We argue you should be wary of taking on bad debt. 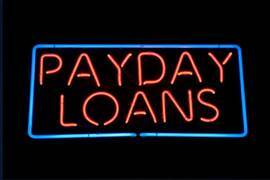 Personal loans, car finance and payday loans are all bad debt to a student. Comparing a few items, it’s evident you can save 40%+ by switching away from brands. On a $40 brand spend at your supermarket every week, you could save $16+ a week and over $750 a year. Weekend farmers markets are a great social experience as well as being a great place for bargains and fresh food. 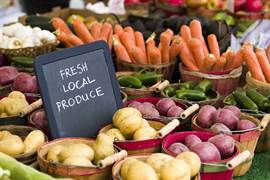 Most university cities have local markets on a Saturday or Sunday, with good transport options available - Google your local farmers market for dates and times. ​“When I was at Otago University, the weekly farmers market down by the railway station was brilliant. The amount of fresh vegetables and fruit you could get for $10 was unrivalled. 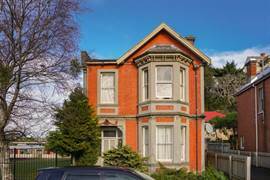 It also wasn’t too much of a hassle if someone in the flat had a car, but the walk there and back is manageable from North Dunedin with a few items too." Check out our Broadband comparison guide for the best deals. It’s likely you’ll need to sign a contract, so look for rolling month contracts or six months at the most as it beats paying a full 12 months when you’re unlikely to need it for that time. You may find that connecting to your phone’s hotspot provides all the data you require for basic needs. For pros, cons and best buys, see the SIM-only mobile plan comparison guide. Your campus will likely have free WIFI, as will cafes and your hall of residence. Use these as much as you can, especially if you are a Netflix subscriber, Youtube addict, streaming fan and/or use a lot of data where you can store downloads for later use. This tip is not just for students - loose change adds up quickly and is a good source of money to raid if you need some. Or periodically take the coins down to the supermarket and put them into the self-checkouts; it can be very surprising how much they all add up to. Switch to a “Graduate Account” when you Graduate. 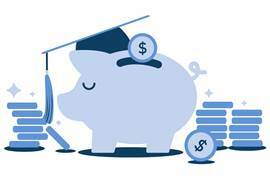 Your bank may already offer an automatic switch to its own Graduate account offering once you leave university, but it may not be the best deal. Graduate accounts generally save $250+ a year in fees and even more if you an interest-free overdraft. Shop around for the best one on offer, even if it means leaving your existing bank. The KiwiBank Free Up account is an example of a zero-fee bank account available to everyday New Zealanders. Trade Me is your best bet to clear out anything you don't need. If you’ve stopped using something, be ruthless and consider selling it. Listings popular with students include furniture, books, DVDs, clothes and bikes. Avoid getting bad feedback of the item returned by making sure you pack them well; our Trade Me tips guide is full of useful ideas which make the most of every listing. Store cards (such as Farmers, The Warehouse, GEM Visa, Q Card) have high interest and don’t undercut credit cards in most instances. If you’re a student, it’s safe to say a store card isn’t a priority – their high rates and fees can cause nightmares to students. No matter what the sales pitch, be very wary of signing up for a store card. If you need or want to get a job, look inside the university you're studying in. These may be less obvious opportunities but they can work well and pay well above the minimum wage - for example, the university library and students union venues. The benefits also include flexibility around exam time as well as a social workplace. 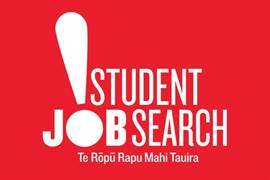 The Student Job Search website is also an excellent place to register for opportunities. "In 2015 I was in Law School and my tutor told me my notes would be useful for the Disabilities Office who need them if someone is ill or away and can’t take their own notes. I was paid around $15 per class, which was great money back then (it still is!). I just sent them a sample of two lectures and I was their guy for Law101 and Law102. I didn’t have to do any extra work other than make the notes better, which helped me as well". "Orientation week ends up being an expensive entertainment blowout, so I thought it would be better to go to the gigs for free by working at them. I ended up working a lot of hours at our local student union, which placed me". Of course, the more organised and early you are, the higher the chance of success you have for landing any student job. ​If you don’t have a part-time job or other sources of income while you study, we don’t recommend applying for a credit card. Banks market hard to students, pitching “low minimum payments” and “up to 55 days interest-free” as cheap money. However, you can easily find yourself squeezed when it comes time to pay the bill, which turns into a problem debt fairly quickly. Minimum payments are usually only 3% to 5% of the balance owed, which is very low and designed to keep you in debt with an interest rate of around 20% per annum. We calculate that if you spent $2,000 on your credit card and made the 5% minimum repayments every month, it would take over 3 years to repay it at an interest rate of 20%. Credit cards and students can be a bad combination so being careful is really important. Every university or tertiary institution releases its term dates months in advance, so look on the website and lock in a flight. If you don’t, those $75 fares become $275 which is completely avoidable if you’re organised. You can save more by being flexible on dates. There are summer jobs, and then there are positions which make a difference. Callaghan Innovation grants give businesses around $7,000 to hire a student for summer. You can contact your university careers department to see what is available, and ask to be notified. You can also look for more specialist positions within your department - very often teaching staff will need research staff for the summer, and this will pay far more than a standard unskilled holiday job. New Zealanders now find themselves approached by numerous “quick money now” operations, and distressingly, students are eligible to apply for a loan with any one of them. Don’t do it – the interest rates are sky high, there are fees on top and your initial loan can turn into a nightmare debt. If you are struggling, contact the Citizens Advice Bureau, your local student union and read our Debt Help guide for further help and suggestions for better alternatives. If you have a question about money, talk to other students you think have their affairs sorted and don't complain about money. Avoid the crazy spender who is always short of money, as well as the rich friend who strangely never buys anyone a drink, and look for like-minded people. Outside of your friendship circle, many universities have budget advisory services or can point students to a local organisation. ​There is no shame in any money situation – your situation won’t be unusual and the experts will have useful suggestions and, in many cases, realistic solutions. Thousands of students visit MoneyHub every week for financial information. The MoneyHub team knows how stressful being short of money can be, so if you have any specific help or tips you wish to share, please get in touch - we would be delighted to hear from you.